You’ve heard the story of Cinderella, but did you know that her sassy Godmother also has a tale to tell? When a hardworking fairy named Carol stops by her goddaughter’s cottage to borrow a cup of flour, a simple visit quickly turns into a complicated evening of chaos. 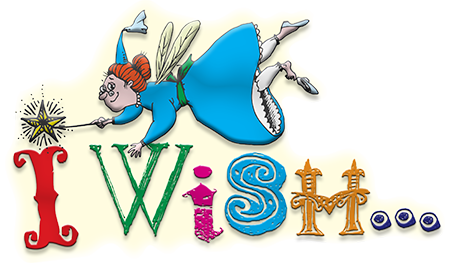 Carol’s plans to bake a batch of brownies are set into a tailspin when a bunch of silly strangers (including a door-to-door salesman, a repairwoman, a pizza delivery boy, and more) show up, hoping to have their wishes granted by the Fairy Godmother. Making a wish come true should be easy with magic on her side, but an accidental encounter with a fire-breathing dragon renders Carol’s wand useless. To top it off, a bunch of mischievous mice are on the loose. Read more...Will we ever make it to happily ever after? And will the brownie batter ever find its way into the oven? Audiences and performers will have a ball with this delightful fairy’s tale. These scenes are laugh-out-loud funny and clever, to boot! Based on familiar nursery rhyme characters, Ewen put a comedic spin on their situations.